Today’s track is #300, so it’s got to be a big one! 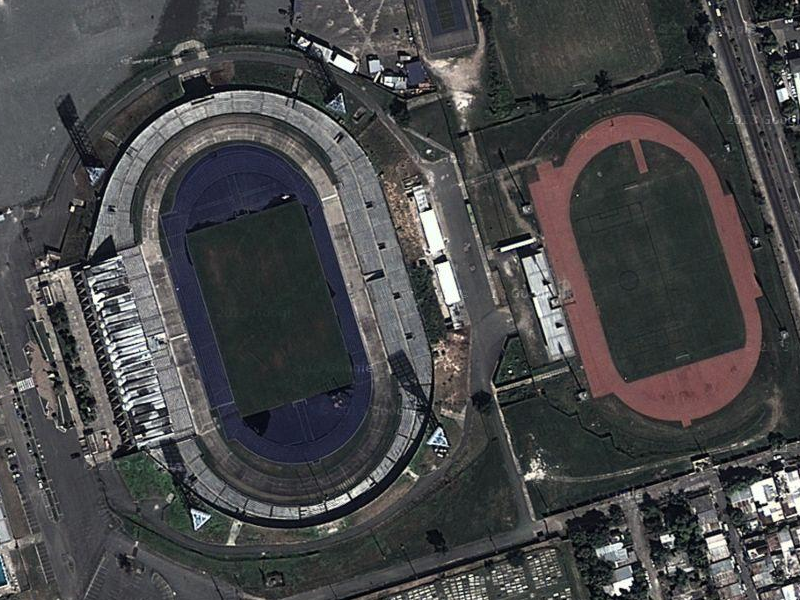 And in the Caribbean, there’s no bigger track venue than National Stadium at Independence Park in Kingston, Jamaica. In fact, I’d say it’s one of the top track venues in the world. The number of meets hosted here is amazing, but not surprising given how track crazy the people of Jamaica are. The sport here is absolutely huge. I am just amazed at the speed of the Jamaican sprinters, but I’m probably preaching to the choir on that one. Everyone is well aware of what they have accomplished lately. National stadium was built in 1962. It appears that it has remained basically the same since, other than replacing the track surface. 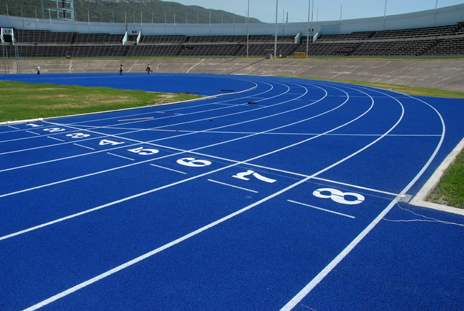 It has a seating capacity of 35,000 people, and there is a IAAF certified warm-up track located outside as well. It’s also fitting that I post this track today because Champs 2013 just finished up last night. The ISSA Boys and Girls Athletics Championships is one of the biggest youth meets in the world, and has been held every year since 1910. Ask any of the Jamaican superstars how big this meet is, and they’ll tell you!